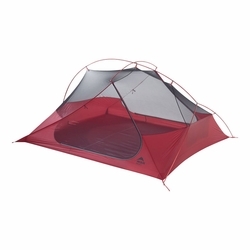 MSR Freelite 3 Tent. Designed to support a wide range of adventures, from backpacking to climbing to kayaking, the FreeLite™ 3 tent delivers full-featured comfort for three in an ultralight, highly packable design. The unified freestanding frame sets up quickly, which is what you want after a long day of hiking alpine meadows in Glacier National Park, or bouldering with friends in Joshua Tree. The ventilating micromesh canopy and waterproof rainfly offer protection for all kinds of weather, and the large doors provide easy access to an interior that provides room for three, or generous space for two. Ultralight: MSR's lightest freestanding, double-wall tent for three provides full protection without a big weight penalty.